In an emotion filled courtroom, a King County judge Friday afternoon sentenced Thomasdinh Bowman to 29 years in prison for murdering Capitol Hill QFC wine steward Yancy Noll in 2012. Judge Bruce Heller said Bowman, 32, “showed an utter detachment from the terror he caused” and displayed an “extreme lack of empathy for another human being.” Heller noted that Bowman had no prior criminal record and the shooting appeared to be out of character, but the judge was not convinced Bowman acted out of self-defense. Bowman faced a maximum 32-year sentence for the murder under state sentencing guidelines. Sobbing through much of the hour-long hearing, Bowman asked the judge for mercy in a brief statement he gave before the sentence was delivered. Defense attorney John Henry Browne said Bowman was sorry for what he had done, and that Bowman expressed his remorse when he attempted to commit suicide by slitting his wrist in jail the day he was found guilty. 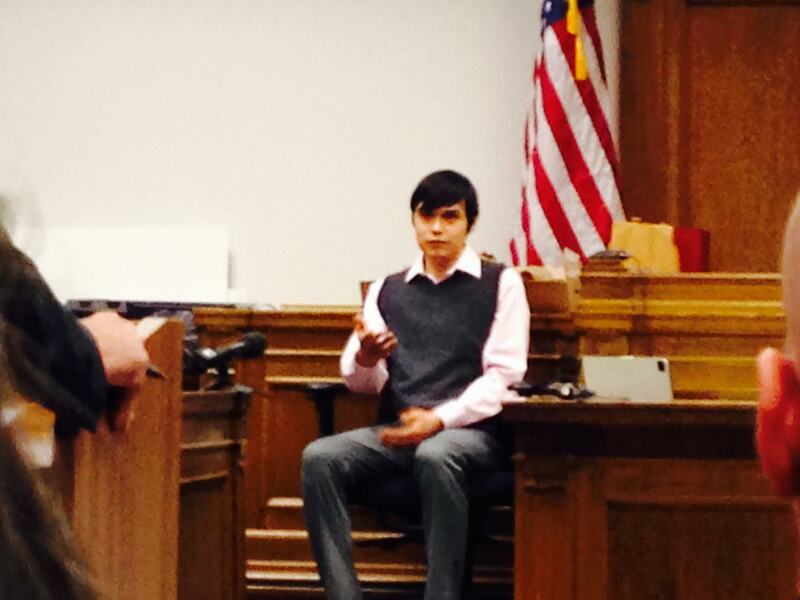 “A violent hatred I’d only seen in the movies.” That’s how Thomasdinh Bowman described Capitol Hill QFC wine steward Yancy Noll’s actions in the moments before Bowman said he shot Noll at a north Seattle intersection in 2012. For two weeks, prosecutors have painted Bowman as a calculated killer who studied how to get away with murder. On Thursday, Bowman, 31, said the shooting resulted from a road rage incident that went too far. Bowman said an abrupt stop he made while driving on I-5 sent Noll, 43, into a fury that made Bowman fear for his life as the altercation carried on into North Seattle. Bowman recounted how Noll followed him and hit him with a thrown bottle while both were inching along a north Seattle road.